So-called “selfie deaths” have surged in recent years. 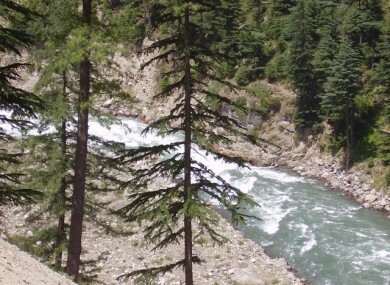 AN 11-YEAR-OLD GIRL drowned after falling into a river in northern Pakistan while attempting to take a selfie and her parents also died trying to save her. The drownings occurred in the Kunhar river that flows through Khyber Pakhtunkhwa province, at a hilly tourist spot in Beesian village, some 200km north of Islamabad. The deep, rocky and fast-flowing river is popular for white-water rafting. Safia’s mother Shazia Atif then jumped in to save her daughter but was swept away. The dead bodies of the mother and daughter have been recovered while we are still looking for the body of Hussain. He said the parents were doctors from Punjab province and had taken their family to the area on holiday. They are survived by a nine-year-old daughter and six-year-old son who witnessed the event. This is a tourist spot and people usually come here for picnic and most of them are outsiders who have no idea about the depth of the river. Selfie deaths are becoming a bigger problem. Source: Statista. So-called “selfie deaths” have surged with the global rise of smartphones. On 5 July, Peruvian police recovered the body of a South Korean tourist under a waterfall in the Amazon jungle, days after he fell in while taking a photo of himself. A week earlier a 51-year-old German tourist plunged 200m to his death while posing for a photo on a mountainside at Peru’s top archaeological site, Machu Picchu. Email “Child and parents die in river rapids after girl falls in while taking a selfie”. Feedback on “Child and parents die in river rapids after girl falls in while taking a selfie”.